It just so happens that sheep graze on a farm we drive by when we take our daughter Erin to school. They are peaceful beasts. Actually ‘beast’ is almost too barbaric a term for such docile animals – ‘cute,’ ‘wooly,’ ‘precious’ and ‘sweet’ seem more appropriate. And yet it is this very animal that was slaughtered annually by God’s people – a substitute of sorts, for those who offered them in payment for their own sins. 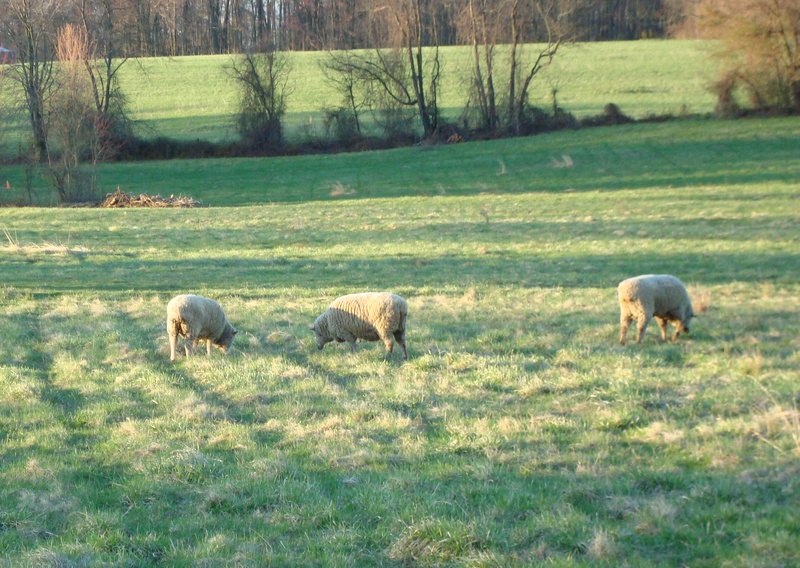 The lambs near our home are sweet as can be – the ‘stuff’ children’s rhymes are made of. But the most Precious Lamb was the Lamb of God – Jesus. Reflecting on this is overwhelming and lovely at the same time. It is the Faith at its core – Jesus, the Lamb, our Sacrifice. Friends, this truly is Good News. GREAT post! Thanks for sharing, so glad I stumbled on your blog! Thanks Christy – I enjoyed reading through your post as well! You are currently reading Sacrifice at unfinished1.